Residential and commercial roofing contractor for roof repair, replacement, and new installation. We are a locally owned and operated company with over thirty years of experience behind our name. Yates Roofing & Construction is your first choice roofing company. 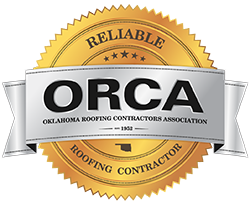 We are licensed and insured, and our roofers and staff are committed to providing the best quality, service, and customer care you will find in the state of Oklahoma. From minor roof leaks to whole roofing systems, we've got you covered. If you are filing an insurance claim, our specialists will work closely with you and your insurance company to make sure your claim is filed correctly. We work with all roof types and are one of only 2% of roofing contractors in North America to achieve Master Elite™ status with GAF. We serve Oklahoma City, Edmond, Guthrie, Piedmont, Yukon, Lawton, Tulsa, and most other cities in Oklahoma. Call us for a free estimate. If you have a roofing emergency, call us at (405) 607-0966. We are here to help. Your reviews help others decide who to use and help us improve our business. Do you have a leaking roof or a few missing shingles? Leaks are not always a sign of a failing roof, as many factors such as seals, caulking, and flashing often fail before the actual materials, causing minor leaks that can be easily fixed if found early enough. In most cases, your existing roof can be repaired for much less than replacing it. If your roof is in need of a repair call us today for a free estimate. In the case of an emergency roof repair, we are available 24 hrs and are just a phone call away. We can get a roofer to you to secure the leak and help prevent further damage. We work closely with builders, owners, and even insurance companies to ensure all parties are satisfied with the job. 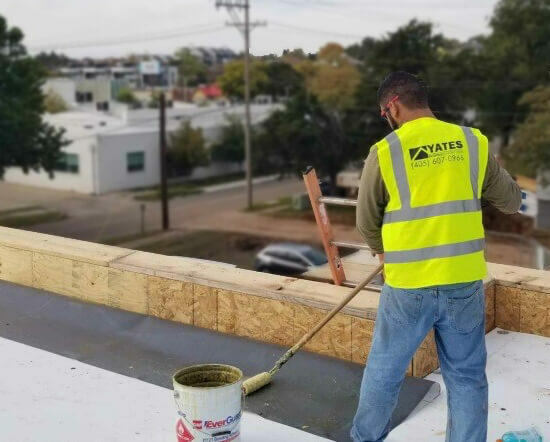 Whereas most roofing contractors provide a single scope of work, Yates Commercial boasts experience in a wide variety of building scopes. The ability to package these scopes and deliver them to the customer ultimately drives down cost and increases continuity in the build workflow. Yates Roofing & Construction. On Time and On Budget. Your Roofing Contractor in Oklahoma City. We proudly serve these fine cities in Oklahoma: Choctaw, Del City, Edmond, Midwest City, Lawton, Moore, Mustang, Norman, Oklahoma City, Piedmont, Tulsa, Yukon, and more. Call us today to schedule your free inspection!